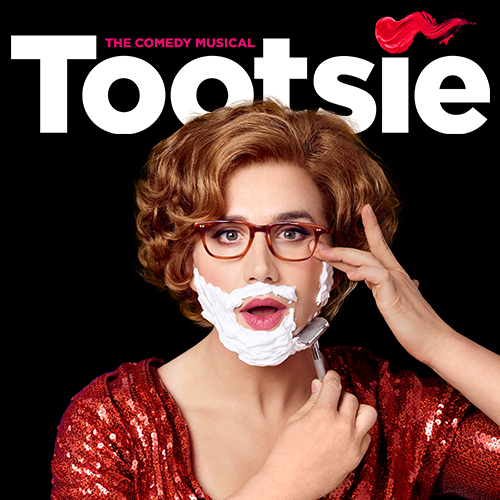 Dorothy Michaels is the biggest sensation to hit Broadway in years. She can act. She can sing. She can dance. She can do anything—except reveal who she really is: an out-of-work actor named Michael Dorsey. Michael has cast himself in the role of a lifetime, but now that audiences are falling for him just as he is falling for the woman of his dreams, he’s learning that the hardest part of show business isn’t getting to the top—it’s keeping up the act. Starring Tony® nominee Santino Fontana (Cinderella, the film Frozen), this new production features a score by Tony winner David Yazbek (The Band’s Visit, The Full Monty), a book by Robert Horn (13, Dame Edna: Back with a Vengeance), choreography by Tony® nominee Denis Jones (Holiday Inn, Honeymoon in Vegas), and direction by eight-time Tony® nominee and Olivier Award winner Scott Ellis (She Loves Me, On The Twentieth Century). Rating: Children under the age of 4 are not permitted in the theatre.